Since brand play, a major role in defining your personality and skills, therefore, building an effective and powerful brand plays a vital role in planning a business strategy. With the growing competition, it has become very essential for businesses to be both trustworthy and memorable. But it is quite challenging and difficult to maintain a balance between having a reliable brand and to keep up your business as per the trends. Building an effective and successful brand is a valuable part of any business strategy. A successful business is the one that is able to acknowledge its customer about its products and services, its quality and other relevant information. Along with this, it is also important for businesses to influence people to remain loyal and to pay the mentioned amount for purchasing your brand product. So in all brands play a central role in defining business future and its success. Ultimately, brand power comes from having a high-quality product and building the brand as an essential part of people's day. If you spot an opportunity to fit yourself into someone's life, then you are able to constantly interact with them and convert them into a long-term customer. 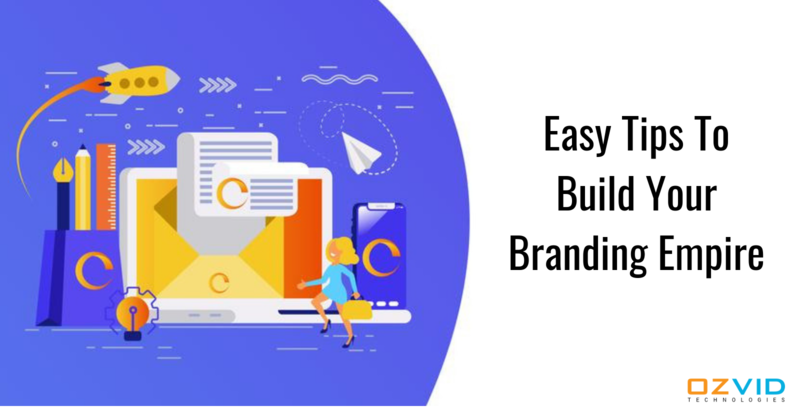 There is a long road from a startup company to a massive brand empire, but these seven tips can guide your journey to building a trendy yet durable brand. Be Yourself: The brand is all about the personality and the value that it presents to the audience. It is therefore good to be yourself while building your business brand. The brand should be the reflection of your personality and must present you as a person. Know Your Audience: Foremost initial step for a business is to pinpoint at your exact audience. You would be able to present your product and services only when you know about their taste and preferences. Doing this will help you know exactly what is important for them and how you can draw their attention towards your product and services. Considering your audience needs should be the primary goal in growing any businesses and to develop as the best industry. Join Groups: The best and the most effective way of building your brand is to join industry-specific groups. Each group comes with its own benefits. So, irrespective of whether you join an online group or offline group that focus on participating in the local business events which help you in connecting with local networking groups and people. These practices help you with growing knowledge about the latest trends and also help you to aware people about your current ideas and product details. Build an Influencer Relationship: Collaboration with the influence also play an important role in building brand image. It also helps you in building your brand on social media. Spending or investing a maximum percent of your budget on influencer help you in building a massive number of relationships with them. You can do so by beginning with a small project and slowly growing the opportunities with the growth of the relationship. Interact With Customer: While making an important decision that matter to your customer it is good to consult with them for input. Involve them with you and create a platform for making a base decision. You can use the information about the customer that you are already aware of and know many more on the list by utilizing their feedbacks. Optimize Your Funnel: Working on every marketing campaign optimizes the performances and help in boosting up the maximum returns. The businesses can optimize their funnel by ensuring that they are providing a call to action. Also, it is important to encourage and influence your customer to purchase your latest products. Building a brand is a vigorous process as it requires time, dedication and innovation. Following the above tactics will help you in branding your business image easily. To know more and for implementing the online ways like the mobile and web app development for influencing and attracting your potential customer get in touch with us. Our team is skilled and knowledgeable that help you by providing proper guidance and in clearing your doubts.